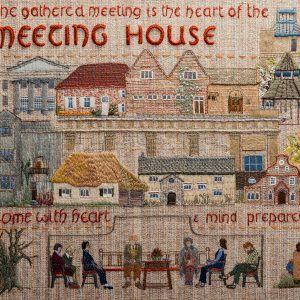 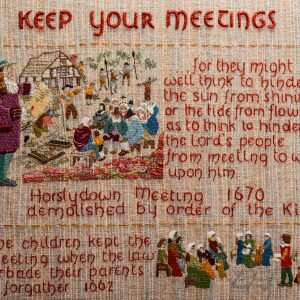 Early Quakers sat in Meeting for Worship with their children. 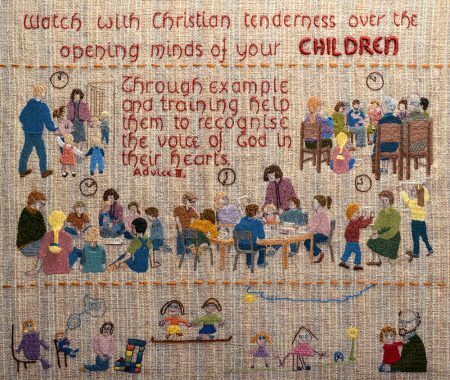 Today as the panel shows, children take part in activities suited to their age. 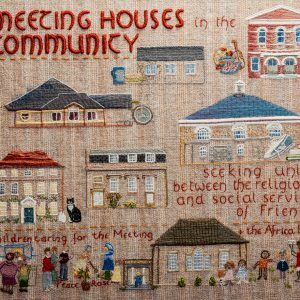 Sixteen to eighteen-year olds have a national annual gathering, while the 18 to 30 age group organises their own wide range of activities. 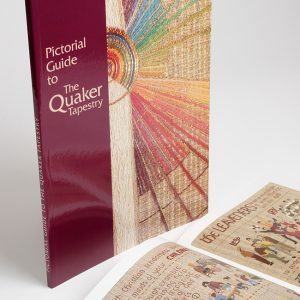 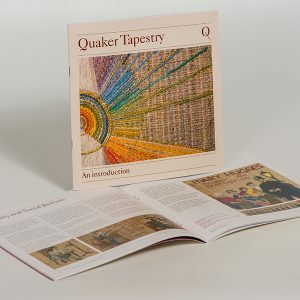 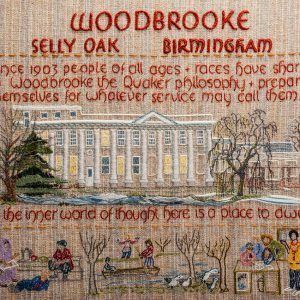 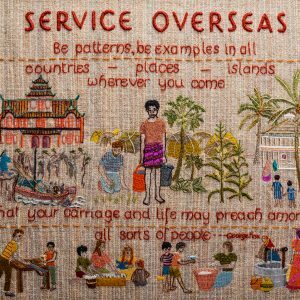 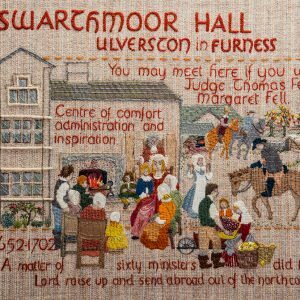 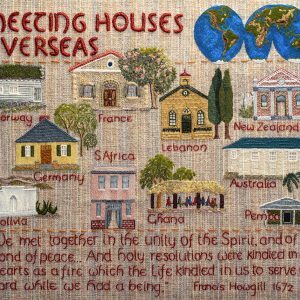 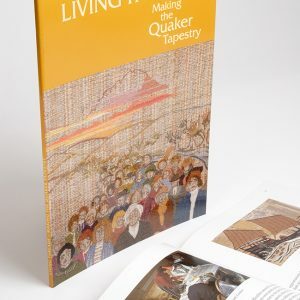 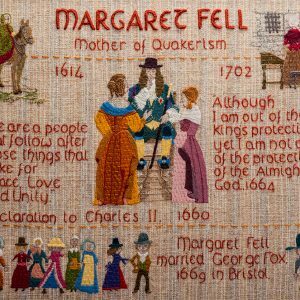 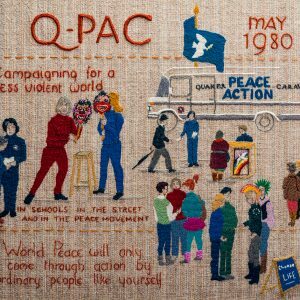 It was from a Children’s Meeting that the idea for the Quaker Tapestry came about.